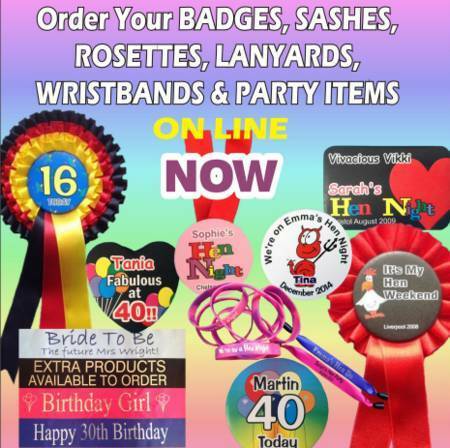 Photo badges or photos on rosettes and sashes for your party. Can I order photo badges? 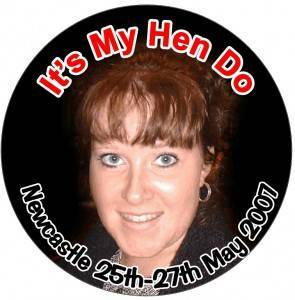 What do I need to do in order to get a photo on my badges or rosette centre. Can I also have a photo on a sash ? 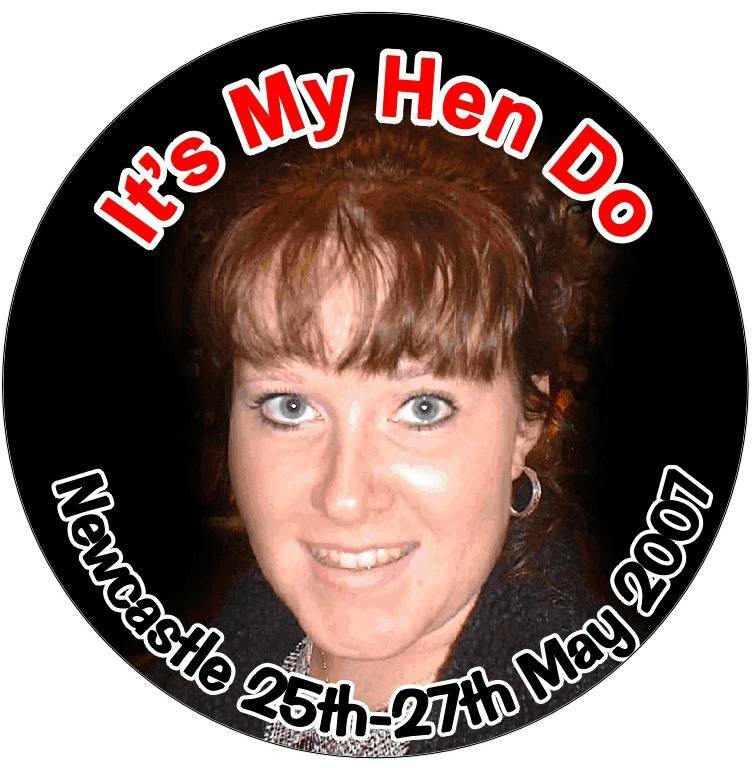 If you have a digital photograph that you want us to put on a badge or rosette centre then just send it to us as an attachment. If there are things or people in the background that need to be removed then just tell us. Usually it is a relatively simple job in which case there will be no extra charge to produce your photo badges or rosettes. With photographs, the main thing is to send us the best quality shot that you can. If there are parts of a face missing then we cannot recreate what is not there on the original. Normally a good photo taken on a phone is good enough, but as a rough guide any image size less than 100kb is not likely to be good enough. if you are in doubt, just send us the photograph and we can advise on the possibilities. If you only have a hard copy of a photograph then we can scan it for you and clean up the image if necessary. Just pop it in the post to us and we can return it with the order. If you want a photograph printing on a sash, then we have a more limited capability. Firstly it needs to be a photo with good definition. Secondly we can only print in one colour. Thirdly, we need to print in black, so the best results will come from light coloured ribbon. Ideally we would recommend that you have a white sash if you want a photo adding. So, it will not be photographic quality but it will be a reasonable reproduction. Again the better the photo the better chance we will have.